When making page flipping publications like ebook, magazine, brochure and so forth with digital flipbook software, you customized a satisfactory yet unique flipbook theme and wanna save the amazing theme for future use, so is there a way to make it? Create amazing digital publications and share them with the world. 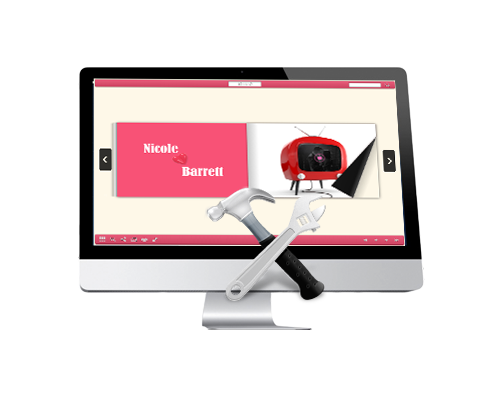 Our PDF flipbook creator is the easiest tool you can imagine. You dont need to find any hosting solution or to install anything on your PC. It runs online, and you can give it a try right now. Give your readers a better experience with Flipbooks. Upload your PDFs and transform them with better presentation options and the ability to add widgets and other interactive elements to make your documents as engaging as possible. I-MAKE IT Solutions leading professionals will create and distribute digital page flip publications. Our free PDF to FlipBook works under Desktop computers and Mobile devices. It is optimized for all the actual operating systems and web browsers.